Figure 1. This simplified gene is composed of four regions. The promoter binds to an RNA polymerase in an on-off fashion and controls whether mRNA can be made. The beginning stretch of RNA is not ultimately translated into protein at the ribosome, and neither is the terminal region. gene that combined structure and function, stated as "one gene, one enzyme." In this formulation, a gene was thought to be enough DNA to bring about the production of one enzyme. This view had to be modified slightly with the realization that many enzymes are composed of several subunits, called polypeptides , whose corresponding DNA sequences (genes) may be on entirely different chromosomes. In addition, not all proteins are enzymes; there are structural proteins, transcription factors , and other types. This led to the reformulation "one gene, one polypeptide." Figure 2. The dystrophin gene codes for slightly different proteins—isoforms—in a variety of differentiated cell types. A simplified version is illustrated above. The dystrophin gene is thought to have eight promoters, each with its own initial exon and as many as seventy-eight downstream exons. that are translated. 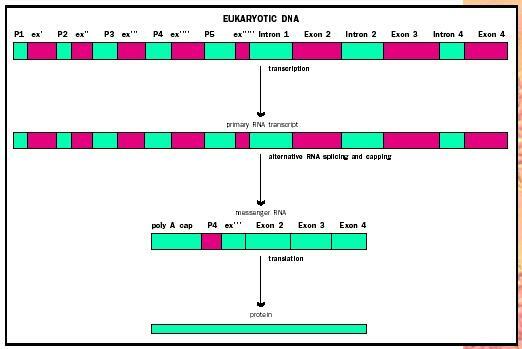 The entire gene is first transcribed to make RNA, but then the intronic sections are removed, and the RNA exons are spliced together to form mature mRNA. The transcribed DNA of a gene is also flanked by nontranslated and nontranscribed regions that are essential to its function. These include the promoter region, a section of "upstream" DNA that binds RNA polymerase, the enzyme that forms the RNA copy. In Figure 1, an overly simplified version of a genetic message is presented. Other DNA segments called enhancers also regulate gene transcription, and these may be located upstream, downstream, within the gene, or far from it. Figure 3. 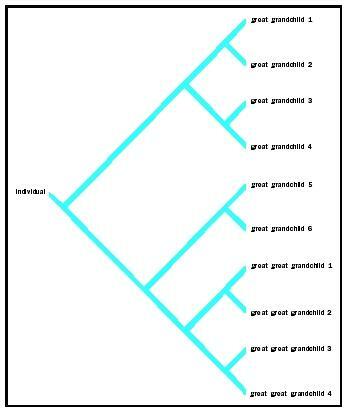 Gene tree illustrating the transfer of genes from one biological ancestor to descendents. different proteins. Isoforms help generate the differences between tissues, and are thus partly responsible for the complexity of the fully differentiated organism. Similarly, the vast variety of antibodies we produce are coded for a much smaller number of exons, shuffled and expressed in a combinatorial fashion. Figure 4. Gene tree illustrating the different cell types that arise by division of one original cell (a zygote; fertilized egg) and differentiation of subsequent daughter cells. biologists focus on the action of genes at different times and places over the life history of an individual from conception to death. Over time, a particular gene will be expressed or silenced depending on stage of development and the tissue it is in. Second, geneticists focus on transmission of information, assortment and recombination of markers, and reproduction within families and populations within one species. Over time, a particular gene will be copied and transmitted to offspring and may accumulate mutations in the process. 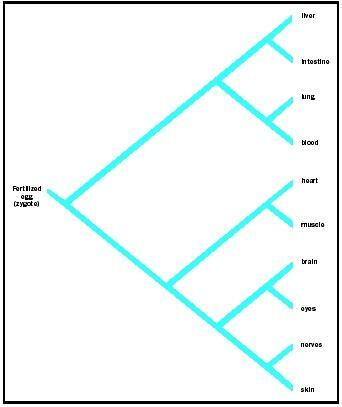 Third, evolutionary biologists focus on history, mutation, variability, and gene duplication. Over time in different species, as mutation and natural selection have their effects, there is divergence of each duplicate's structure and function. Can you put a name/s (a scientist or scientists) that identified the structure of nucleotides? I have a resource that provides a timeline for the contributions leading to Watson and Crick (lets not forget Franklin). In that timeline "biochmists" in the early 1900's are credited with the discovery that "nuclein" (DNA) is made up of nucleotides which contain a phosphate group, a 5-carbon sugar, and a nitrogen base. Who were these scientists? I addition, a gene is defined as a sequence of nucleotides (nitrogen bases) that code for a specific trait. Can that sequence be defined as a specific/exact number of nucleotides (exactly 3 or 9 or 15...). Is a gene always the same number of nucleotides? If so how many? 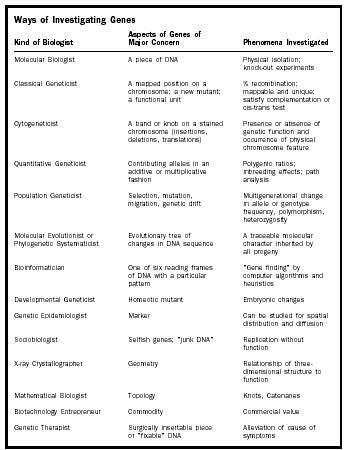 Does the number of nucleotides in the sequence/gene change depending on the trait? I know that a triplet of nucleotides (codon) codes for a specific amino acid in protein synthesis. So is a gene an exact number of codons... every time? Can a gene be defined as a specific number of nucleotides and always the same number of nucleotides? Using the analogy from the "Information Sequences that Code for Production of RNA" section provided above, is a gene a word, a sentence, a paragraph, or something. I started out thinking that a gene always = a three nucleotide/base sequence. I understand that is a codon = 1 amino acid in a protein. The size of the protein dictates the the number of needed codons and therefore length of the gene. So would the analogy best fit gene = word, sentence, paragraph...?